Nintendo UK has revealed pre-order bonuses for Super Mario Maker 2, for those that choose to buy the side-scrolling adventure from the Nintendo Official UK Store. Those that are looking forward to exploring the Nintendo Switch exclusive can choose to receive either a Carpenters Pad and Pencil Set (£49.99) or Acorn Plains Diorama Set (£59.99) with their pre-order. 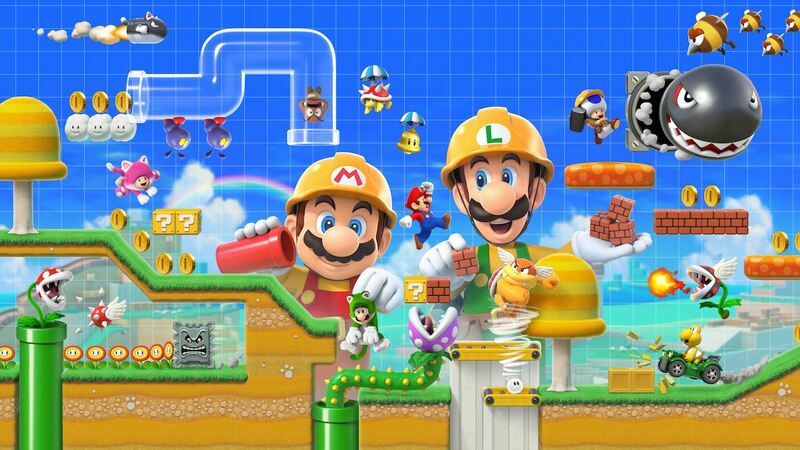 In Super Mario Maker 2, you will once again have the chance to play, create and share your own courses, with access to even more tools, items, and features than in the original Super Mario Maker – which went on to sell more than four million copies worldwide on Wii U. The game’s creation tools will let you surprise and frustrate other players around the world with your mischievous and devious designs, using visual styles from games such as Super Mario Bros., Super Mario Bros. 3, Super Mario World, New Super Mario Bros. U, and Super Mario 3D World. Super Mario Maker 2 will release exclusively for Nintendo Switch worldwide in June.